Looking for holiday gift ideas for the grill? The holiday season will soon be here and it is time to think about the perfect gifts for the awesome grill master in your life. There are so many cool products to get him or her ready for the grilling season and each is guaranteed to thrill the recipient. 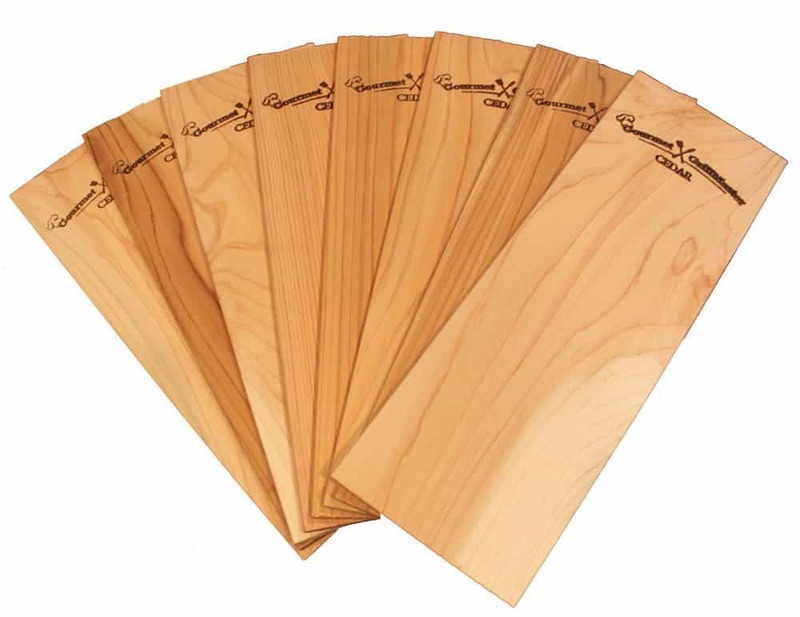 If your favorite griller has not tried the amazing cedar grilling planks, this is a must have gift! These awesome planks add a unique flavor to the foods being grilled. Your griller can experiment with different herbs and juices to change the flavors of the fish or other foods being grilled. How awesome will it be for your favorite griller to be able to cook breakfast on the grill? 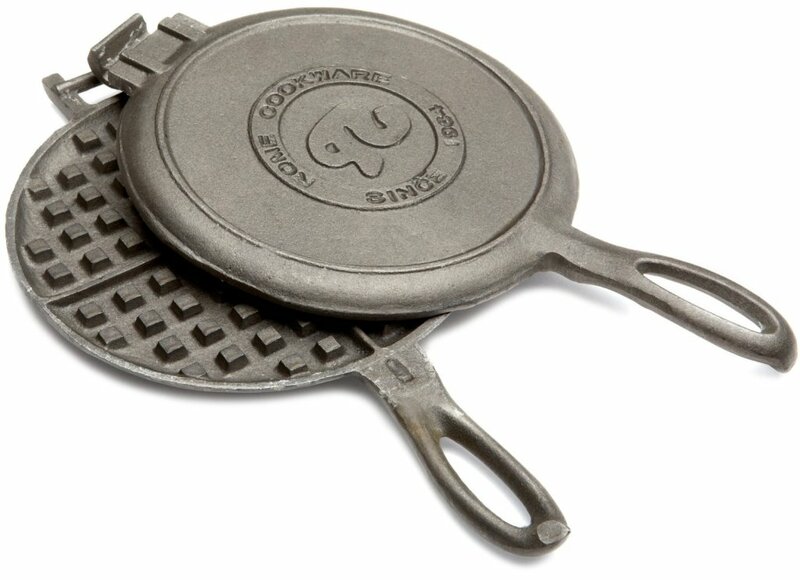 Try an old fashioned waffle maker to whip up delicious waffles – either eat with your favorite toppings or use the waffles as the bread for a sandwich. This is a brand new gadget for anyone who uses a grill. 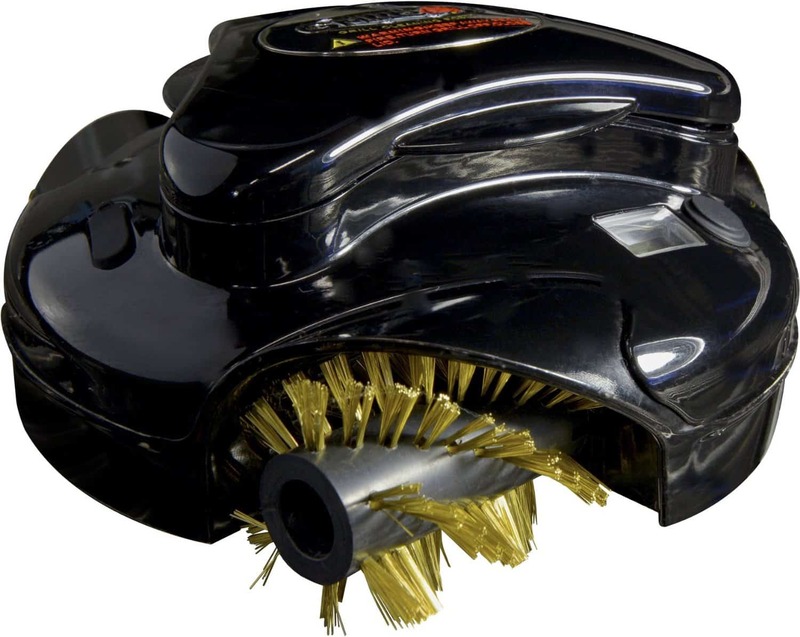 The Grillbot will actually clean your grill for you. Everyone knows the fun of grilling is the cooking, but clean up is so boring. 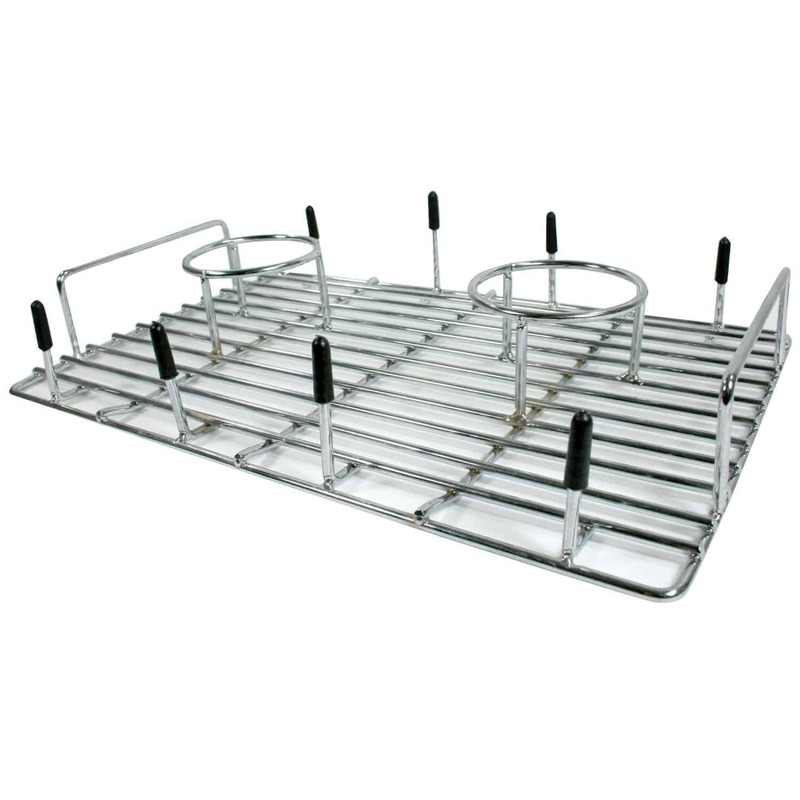 Your grill master will love being able to grill and then not mess with the cleaning of the grill. Beer can chicken is all the rage right now and this nifty gadget allows your grill master to cook two whole chickens, plus vegetables one on tray. How much fun would it be to create your favorite pizza right on the grill? 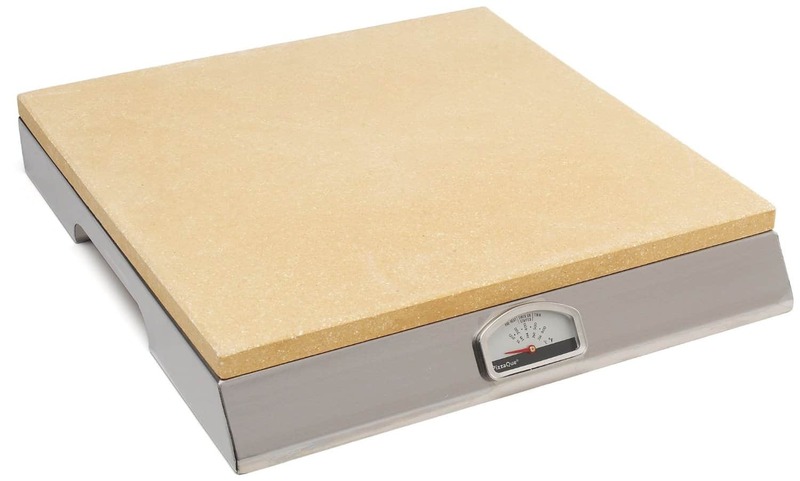 By using a unique gadget such as this pizza stone, you will be able to do just that. Whip up your favorite crust and let everyone add their favorite toppings. Grilling a pizza gives it a completely different flavor – one everyone needs to try. 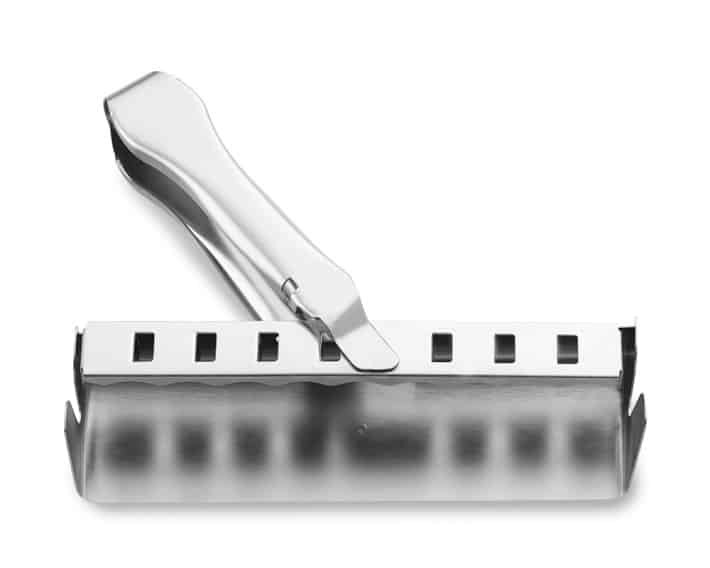 Every grill master needs a basting brush. 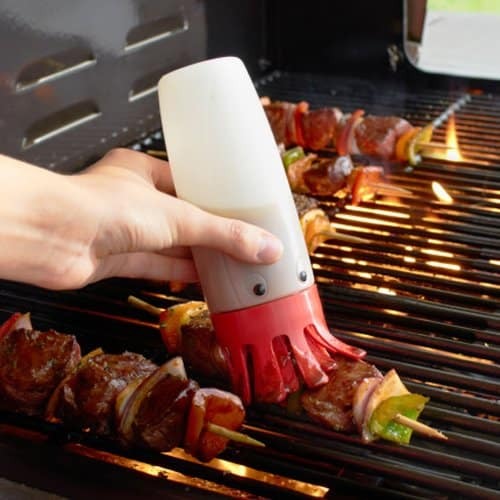 This cute little gadget allows the griller to fill a plastic bottle with his/her favorite sauce and squeeze it onto the foods. The bottle has plastic bristles to help spread the sauce and is easy to clean up. The Getaway Grill Kit contains everything your favorite griller would need to serve up a delicious meal anywhere. All you need to add is a grill. 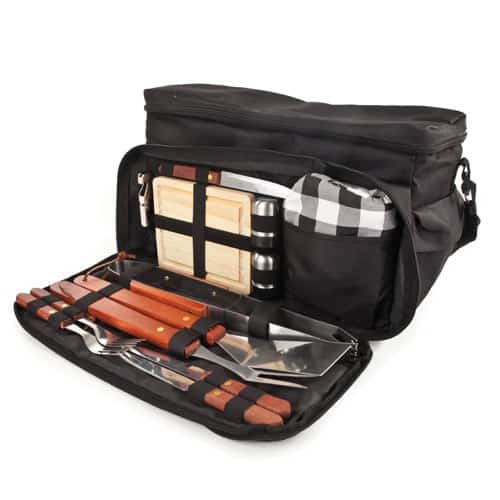 The kit contains all the needed tools neatly packed into a gorgeous carrying case. Why hasn’t anyone thought of this before? 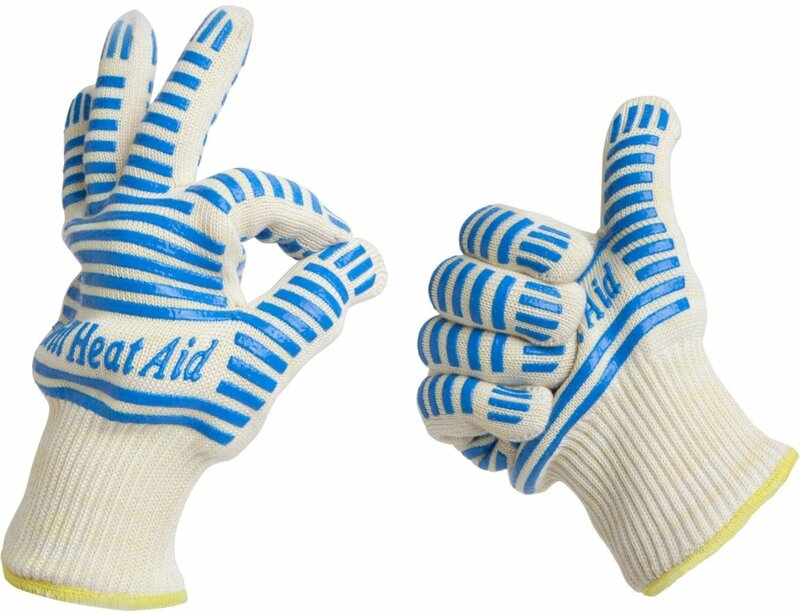 These grill gloves have strips of rubber to prevent burns as your favorite grill master whips up a delicious meal. It is so much easier to move trays and grill irons while wearing gloves instead of trying to use hot pads to protect your hands. Everyone loves kabobs, but not the burnt fingers that comes with enjoying this method of cooking. The foods smell too good to wait until it is cool enough to pull off. The de-skewer tool is a neat little gadget that prevents burnt fingers because it removes all of the food in one easy move. Any grill master will be thrilled to receive these nifty gadgets for Christmas. The hardest part will be knowing it could be a few months before the weather warms up enough to get outside and cook a delicious meal with their new tools.